OUR TOOLING IS SMALLER, LIGHTER & FASTER....And,Yes, SIZE DOES MATTER ! 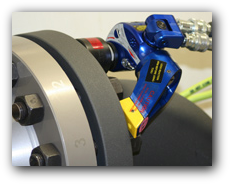 Whatever industry you’re in, whatever bolting application you may have, we can meet your needs quickly and with unparalleled service. 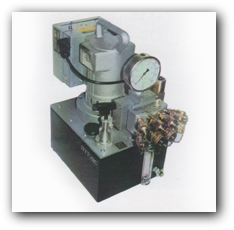 We offer two basic types of torque tooling: Square Drive Tooling and Low Clearance (SLIMLINE) Tooling. 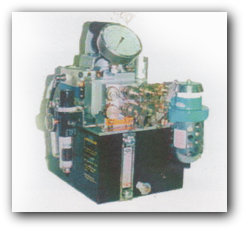 We carry primarily the HYTORC line, but will provide and recommend to you the best tooling for your job, regardless of brand. Whether you need one tool for a few days or if you have a large turnaround requiring many tools for months at a time, we can do the job. Square Drive Tooling is used where access/clearance is not an issue. These tools use impact sockets, which we can provide from our vast stock. Our seven different square drive models range from 3/4" - 2 ½" square drives and can handle a torque range from 200 ft lbs to 52,500 ft lbs. 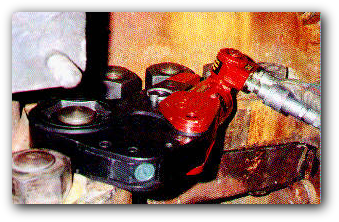 Just tell us what your bolting application is and let us advise you on the best way to tighten or break loose your bolts. HY-1XLT/MXT 3/4" 140 - 1320 ft. lbs. 5 lbs. HY-3XLT/MXT 1" 320 - 3230 ft. lbs. 10 lbs. HY-5XLT/MXT 1-1/2" 560 - 5590 ft. lbs. 17 lbs. HY-8XLT/MXT 1-1/2" 800 - 8000 ft. lbs. 23 lbs. HY-10XLT/MXT 1-1/2" 1100 - 11,520 ft. lbs. 29 lbs. HY-25XLT/MXT 2-1/2" 2,500 - 25,000 ft. lbs. 64 lbs. HY-50XLY/MXT 2-1/2" 5,250 - 52,000 ft. lbs. 98 lbs. HY-2XLCT 1-1/8" - 2-3/8" 170 - 1710 ft. lbs. 6 lbs. HY-4XLCT 1-7/8" - 3-1/8" 380 - 3800 ft. lbs. 12 lbs. HY-8XLCT 2-3/8" - 3-7/8" 750 - 7500 ft. lbs. 19 lbs. HY-14XLCT 2-3/4" - 4-5/8" 1300-13,100 ft. lbs. 33 lbs. HY-18XLCT 3-1/2" - 5-3/8" 1800 - 18,000 ft. lbs. 54 lbs. HY-30XLCT 3-7/8" - 6-1/8" 3,100 - 31,000 ft. lbs. 78 lbs. 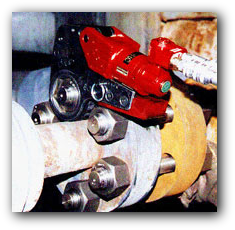 All hydraulic torque tools require a portable hydraulic pump; we offer both Electric Pumps (115V)) or Air Powered (explosion proof) Pumps. 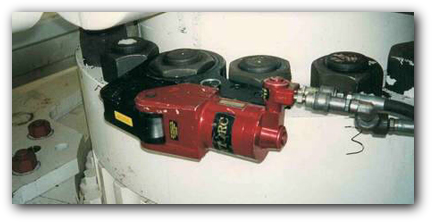 All our pumps are supplied complete with 20 ft. of hydraulic hose (longer lengths available on request), precision pressure/regulator, 10,000 PSI Gauge and are operated via remote control. It doesn’t get any easier ! 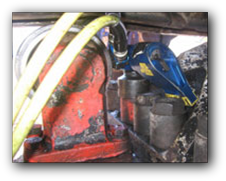 All American Hydraulic Tools has had a complete repair and service facility in California since 1986. Our technicians are factory trained and your tools will not be shipped out-of-state. Most repairs can be completed within a few days and quickly returned to you, eliminating downtime. Depending on your location, we can often pick up and deliver your tools back to you. CALL US at (213) 448- 5298. Our service is unsurpassed and our warranty on repairs is six months. 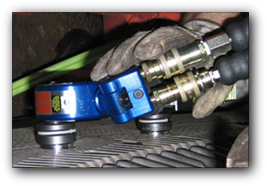 All American Hydraulic Tools offers the world's largest manufacturers of hydraulic and pneumatic torque wrenches. If you're in the market, give us a call. We'll show you the product differences side by side and let our customers decide the features, benefits, ease of use and price best suited to their needs. Our recommendation to you is unbiased by brand, ultimately giving you the best tool for your job. 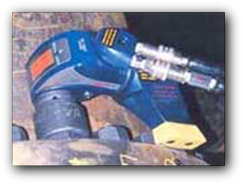 Used tools are also available.Call us for information regarding our various brands of hydraulic and pneumatic torque tools for sale.